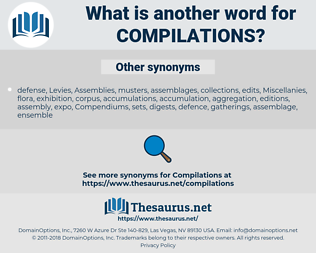 What is another word for compilations? Selections, combinations, ingest, Periodicals, contingents, proceedings, Constituencies, publicaciones, writings, Journals, issuances, Inventories, postings, codes, tools, checklists, overviews, rolls, casebooks, briefs, batches, clusters, groups, rosters, blocks, Summaries, blocs, kits, abstracts, digests, sources, Schedules, slates, squads, Travels, registers, works. 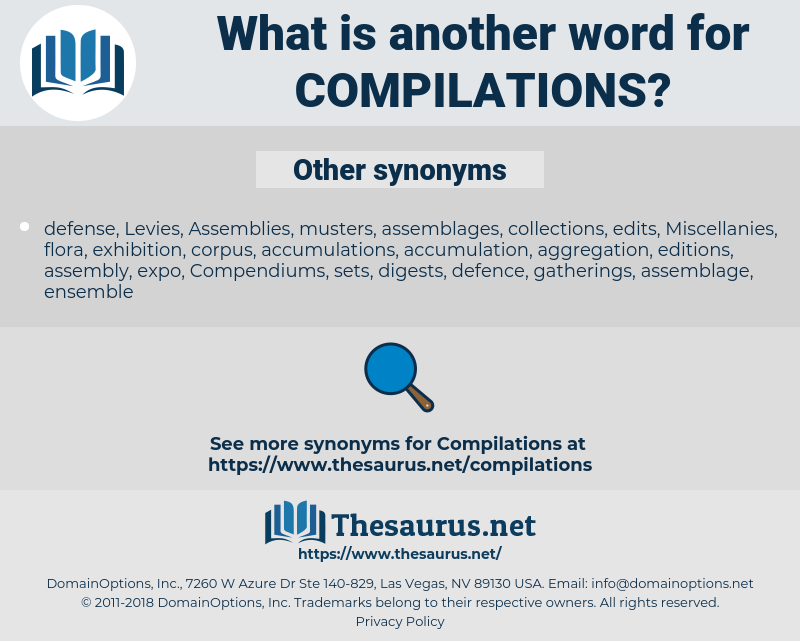 computations, Publications, Compendiums, Capturing, collects, listings, tabulations, bands, compilers, manuals, volumes, reports, list, lists, repositories, packages, series, Syntheses, accounts, repertories, books, sets, builds.